Bank Relationship management, from establishing and maintaining relations with the bank, to bridging the gap between FIAT and virtual currency, and the implementation of all necessary Payment methods and Processes. Regulated and Bank Approved KYC & CDD Services covering both the process and the processing, by following a regulated procedure based on a best practice approach and assigned to a designated Compliance Officer. The platform facilitates fiat-to-token and crypto-to-token acquisitions, as well as Visa/Mastercard & Wired Bank Transfer transactions for the users, boosting the targeted audiences of the project. CryptoCoin.pro All-In-One platform acts like a crypto-wallet which allows the investor not to only keep the tokens in a safe enviroment, but to also be able to buy or sell the tokens for or from FIAT. Solved by the live support offered by CryptoCoin.pro: multi-language support, dedicated 24/7 team, technical support available, both LIVE and EMAIL support. Real Time ICO Founders Dashboard - Platform with real-time data available for the ICO founders where they can see their funds, all the docs and all the data structured on the GUI. API Access – All the data is available via our easy-to-handle API, including transaction history for each user, KYC documents and all the funds reporting, as well as a comprehensive documentation. From Credit Card, Bank Transfer & Wired Payments, we are covering all payment types, as well as Visa/Mastercard & Bank Transfer transactions for the users done with SEPA. CryptoCoin.PRO provides Fiat-to-Crypto and Crypto-to-Fiat solutions, allowing users to buy from FIAT, directly with credit cards(MasterCard, VISA) and allowing the ICO founders to get the FIAT needs covered fast. CryptoCoin.Pro provides a crypto-wallet which allows the crypto-investor not to only keep the desired tokens in a safe environment, but to also be able to exchange to fiat directly. Cryptocoin.Pro is a licensed cryptocurrency exchange, that aims to provide a complete service suite for ICOs. The services offered by Cryptocoin.Pro aim to deliver a seamless experience for the users that invest using the platform and allow ICOs to target a much broader audience, which covers all the individuals which are interested in the project, rather than just the ones who are familiar with the crypto environment. Our products and services are destined to empower ICOs during the entire development phase and help them to overcome any existing barrier in investment and adoption, while being fully regulation compliant and banking-friendly. CryptoCoin.Pro provides blockchain projects a list of solutions for enhancing their presale phase. Using CryptoCoin.Pro, tokens can be sold directly for FIAT (Credit Cards, Bank Transfers) and Crypto (ETH / BTC). From functionality design to development and functionality testing, we can facilitate all the process. Nevertheless, the team will also focus on security code review and deployment support for the smart contracts used in the ICO: Token Smart Contract, ICO Smart Contract, Vault Smart Contract etc. 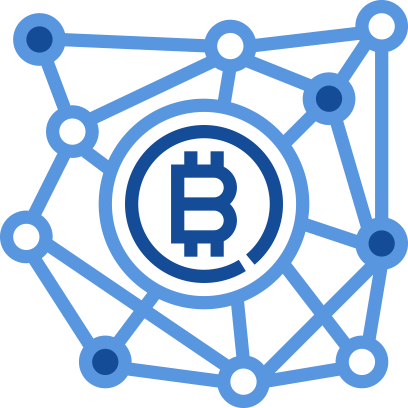 Our professional team of certified security specialists will analyze smart contracts functionality & unit tests and will perform all the necessary checks against known vulnerabilities & logic flaws that might impact the investors or the owners. Our team of certified cyber security specialists can provide a full range of cyber security services for your ICO infrastructure such as security bug bounty campaign design & management, security for the website & infrastructure used in the ICO, security awareness trainings for the employees of your company.